Each week has been a new adventure lately. 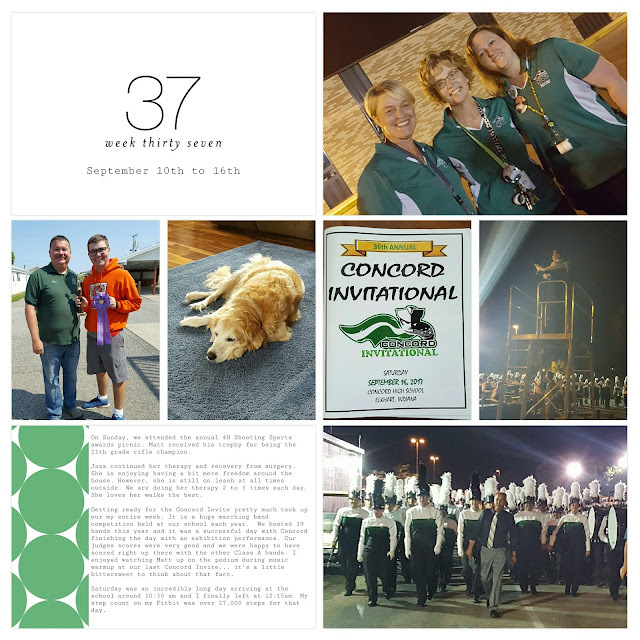 For week #37, it was all about hosting our band invitational & that made for a week filled with lots of prep and planning. And then when it's over, you think you're gonna have lots and lots of time... NOPE! Still behind and trying to play catch up. My page Project 52 page for Week #37, I used the Project 52 Fresh Edition for my cards. The weeks are just flying by and I am itching to get back into my craft studio to create some pages with all the physical products I have stacking up. 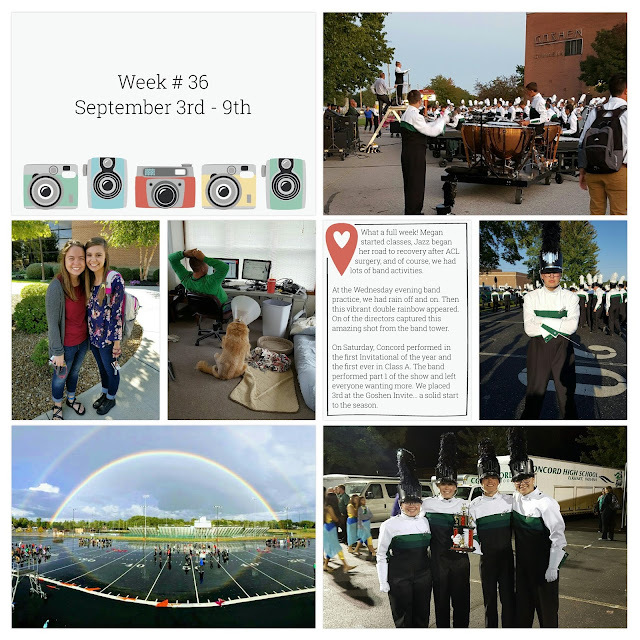 However, with marching band season in full force, I am thankful for the Project Life App so that I can keep up with the weekly events going on. I created this page with the Capture Life kit in the PL App. There were lots of fun photo opportunities this week & I love how this page turned out. Hi Friends! 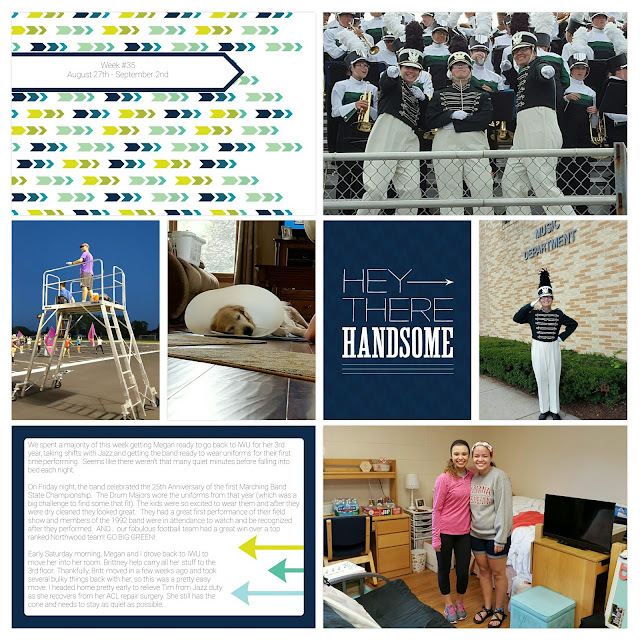 My Project 52 page for week #35 features the September Skies kit in the Project Life App. As usual, we had lots of Marching Band stuff... even some retro uniforms for the Drum Majors. I also moved my daughter back to college for her final year. Hello Friends! This page has been done for over a week & I thought I posted it already. Then I looked and realized it was just sitting here ready to be typed up ~ oops! My routine has been a bit off this week because my sweet pup had to have surgery last week for a torn ACL. This is her second one in 16 months... poor baby! This injury and surgery requires a lot of special care and months of rehab. The good news is, she is doing very well... so I've very thankful for that! 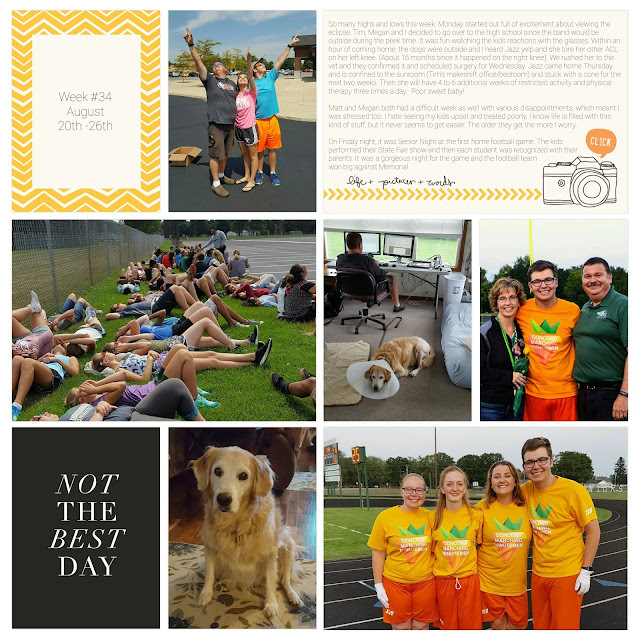 The top two card on this page are from the Jade Kit and the "Not the Best Day" card is from the Project 52 Fresh Edition, both from the Project Life App. Thanks for hanging in there with me on my blog. I'm trying to carve out more time to work on my albums, but it's been hard. However, on the flipside, I'm that totally involved parent for my son's senior year and having my daughter home for the summer. So... no regrets there!